Despite of the significant decrease in the percentage of early marriage in Palestine; still, one-fifth of the registered marriage contracts included female children. Data of the Population, Housing, and Establishments Census 2017 showed a decrease in the percentage of women (20-24 years) who were married before the age of 18 years from 30% in 1997 to 11% in 2017. The data of registered marriages contracts, showed a decline in the percentage of early marriage for both males and females (under 18 years). The percentage of females under 18 years of age who got married during the year 2017 is around 20% of the total number of married females in the same year (19% in the West Bank, and around 21% in Gaza Strip). Whereas the percentage of 2010 was 24%. The percentage of males under 18 years of age who got married during 2017 is around 1% of the total number of married males during the same year. Whereas the percentage was 1.5% in 2010, according to the database of marriages and divorces in Palestine. The primary data for the scholastic year 2018/2019 showed that the number of school students in Palestine reached about 1.289 million students, of which 1.048 million were students in the basic stage (50.4% males and 49.6% females), 241 thousand students in the secondary stage (45% males and 55% female). While the number of children enrolled in kindergartens in the scholastic year 2018/2019 in Palestine reached about 148 thousand children (51% males and 49% females). The scholastic year of 2016/2017 witnessed a drop-out rate of 1.1% among males compared to 0.8% among females. When comparing the drop-out rate based on the grade, the highest rate is amongst males in the tenth and eleventh grades. Whereas the highest drop-out rate among females was in the eleventh and twelfth grades, according to the database of the education survey for the scholastic year of 2017/2018. 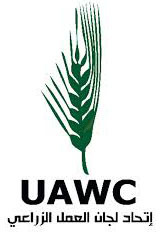 According to the Labour Force Survey 2018, the percentage of employed children reached about 3%, this percentage includes both paid or unpaid employment in the age group of (10-17 years); 4% in the West Bank and 1.3% in Gaza Strip, (5.5% males and 0.2% females). The percentage of children enrolled in schools and engaged in the labour market reached 0.8% (1.1% in the West Bank and 0.4% in Gaza Strip). Concerning gender distribution, the percentage was 1.5% for males and 0.2% for females during 2018. The main sector, which employed children in the age group of (10-17 years), was the "commerce, restaurants and hotels" activity, in the West Bank and in Gaza Strip, with a percentage of 38% and 43% respectively. Followed by mining, quarrying, and manufacturing for the West Bank with a percentage of 24%, whereas for Gaza Strip, the agricultural activity came in the second place with the percentage of 23%. Based on the database of the (Expenditure and Consumption Survey; for the years 2011, 2017) the percentage of children who were living in poverty rose from 27% in 2011 to 31% in 2017, which is 645 thousand children (14% in the West Bank, and 53% in Gaza Strip). In 2017, the percentage of children who were suffering from deep poverty was 17% (5% in the West Bank, and 34% in Gaza Strip). While in 2011, it was 14% (8% in the West Bank, and 22% in Gaza Strip). 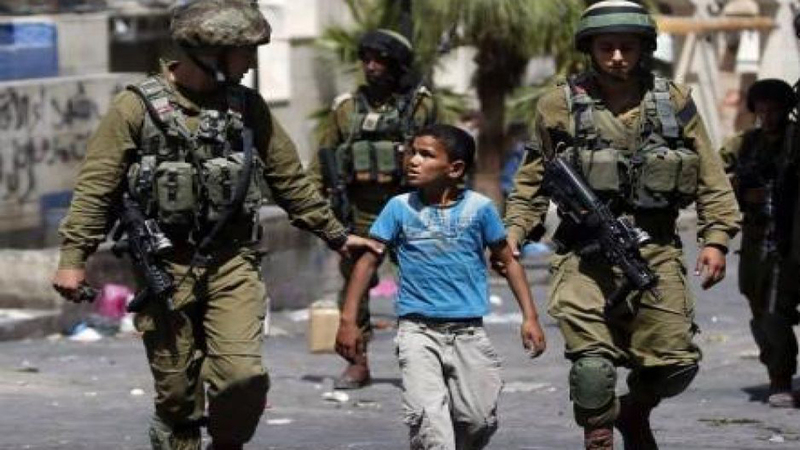 According to the data released by the Commission of Detainees and Ex-Detainees Affairs in 2018, there were around 6,500 detention cases including 1,063 children; additionally, there were around 6,000 Palestinian detainees by end of 2018 including 250 children (under 18 years). According to the records of the Defense for Children International Palestine (DCIP), 57 children were martyred in 2018, including 5 children in the age group of (0-12 years), 29 children in the age group of (13-15 years), and 23 children in the age group of (16-17 years), compared to 15 child martyrs during 2017.